Standing tall just south of the city center of Chelan, Chelan Butte can be spotted from nearly any point in the city. Hiking trails to the top offer rewarding views of Lake Chelan to the north as well as the Columbia River to the east. 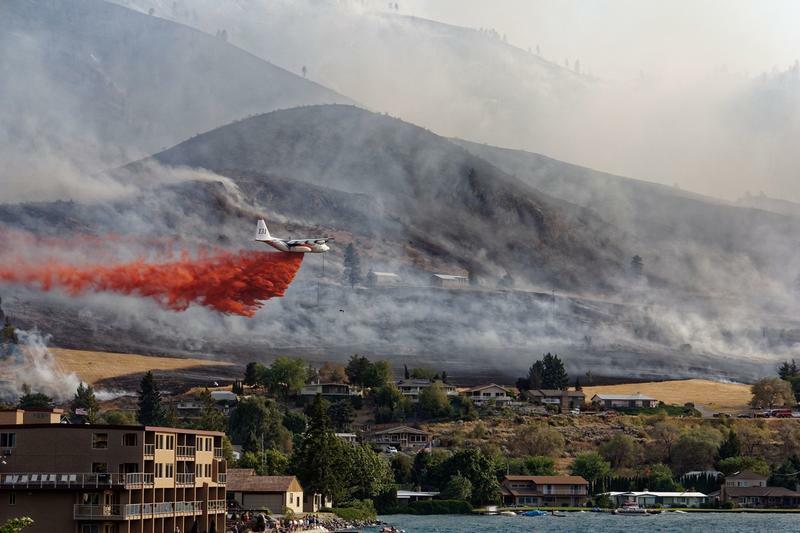 In the early morning hours on Friday, August 14th, a lightning strike hit Chelan Butte and ignited a fire. The fire was relatively small and controlled for most of the morning until winds suddenly shifted around noon and pushed the fire towards the west along the hills. This fire was originally referred to as the Reach Fire before it combined with other fires to form the Chelan Complex Fire. The fire charred nearly 90,000 acres and destroyed or damaged dozens of homes and buildings.